Elite Dancers is an exciting, innovative dance company offering professional dancers and singers for any event. All of the dancers have been through a rigorous audition process, ensuring that only performers of the highest quality are used in the various shows and productions. 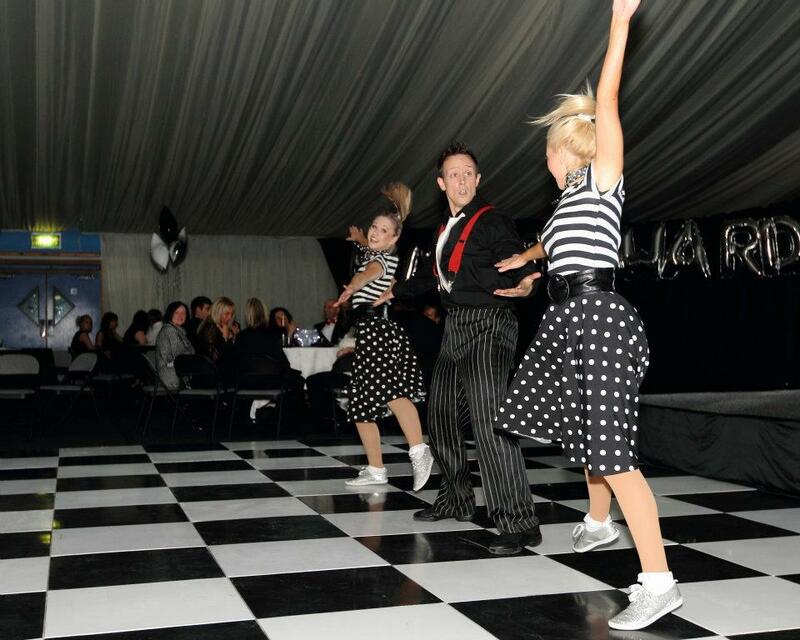 Whatever the event, product launch, trade show, exhibition, private function or themed party, Elite Dancers are able to provide professional, friendly advice. No matter how small or large the event, there is something to suit your needs; the shows and productions range from 2 to 30+ cast members. A rich and energetic audio-visual experience, this show features some of the most popular numbers from the smash hit movie “Chicago”. To give a little extra impact, it also incorporates the most stylish and exciting routines from “Fosse, The Musical” into the show. A very versatile production, Chicago can be performed with as few as 4 cast members, and combines both male and female dancers, and an optional female vocalist if required. A feast for the senses, this exhilarating and lavish production incorporates a traditional Can Can routine and fabulous showgirl feathers numbers. The French Cabaret Themed Dance show can be performed with as few as 3 female cast members, to a maximum of 12. Bring a taste of India to your event with this exciting show, which includes excerpts and routines from the West End musical “Bombay Dreams”, and features lavish, colourful costumes. The fast-paced dance routines and classic Indian music provide a backdrop to a show perfect for any event. The Bollywood Themed Dance show can be performed with as few as 4 cast members, to a maximum of 12. With cowgirls, cowboys, boots and stetsens, this high-energy show can bring a touch of the wild-west to your event or function. It features the traditional saloon Can Can, line-dancing and music from the hit movie “The Best Little Whore House in Texas”. The Country & Western Themed show can be performed with as few as 3 cast members, to a maximum of 12. Thrill your audience with glamorous girls dressed in stunningly elaborate costumes and turn your event into an instant success, with a show packed full of high-impact jazz routines. 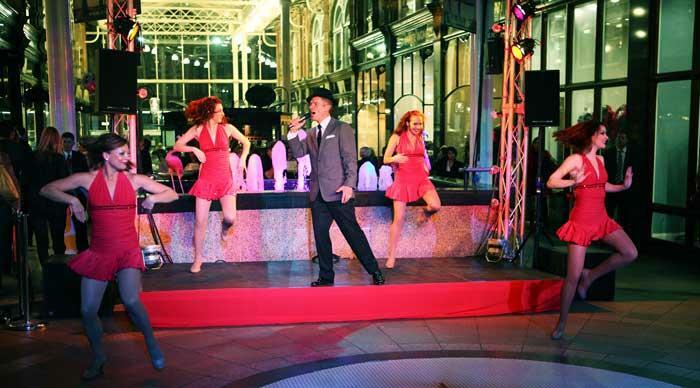 Alternatively, book a “Dean Martin” or “Frank Sinatra” singer for a more relaxed show, but which will still give your event that classic “Vegas” feel. The Las Vegas Themed Dance show can be performed with as few as 2 cast members, to a maximum of 9, with either one or two vocalists. Featuring “The Charleston Girls” and some popular big-band numbers such as “Sing Sing Sing”, this show is guaranteed to keep your audience entertained. Beautiful costumes, sophisticated choreography and some exciting tap dancing routines will add a touch of class to any event.The show can be performed with as few as 4 cast members, to a maximum of 9, with a female vocalist. If you don’t have a specific dance theme or show in mind, but you still want a great production, this show is for you. With all the best bits from the other shows packed into one great production, youre guaranteed a great evenings entertainment. The dance shows can be performed with as few or as many cast members and vocalists as required. ★ Various shows and productions.